Lotus seeds have the quality of sattva or purity and are associated with Vishnu the preserver. 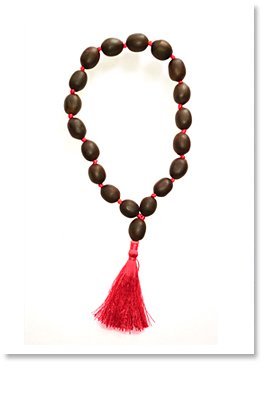 Their oval shape and dark brown color make this mala pleasing to look at and hold. The seeds are between 10 and 14 mm and strung on beautiful red or yellow thread .